It’s no secret I’m a huge fan of L.L. Bean. I’ve had the privilege and honor of working with the company many times, and have come to know and love the products they offer. These items are all what I consider to be staples I’ll own long-term both in style and quality. I’ve never been unhappy with a single thing from L.L. Bean and continue to buy from them for both myself and my family members (my dad is a big fan as well!). I get a lot of questions regarding the fit of some of their main pieces that they offer year after year. Not having a store nearby to try on their clothes can make ordering tricky, but their reviews help a ton. I’m fortunate to have a store 20 minutes from my house that opened in 2016, but it wasn’t always that way. Here are some of my observations from wearing L.L. Bean for many years. 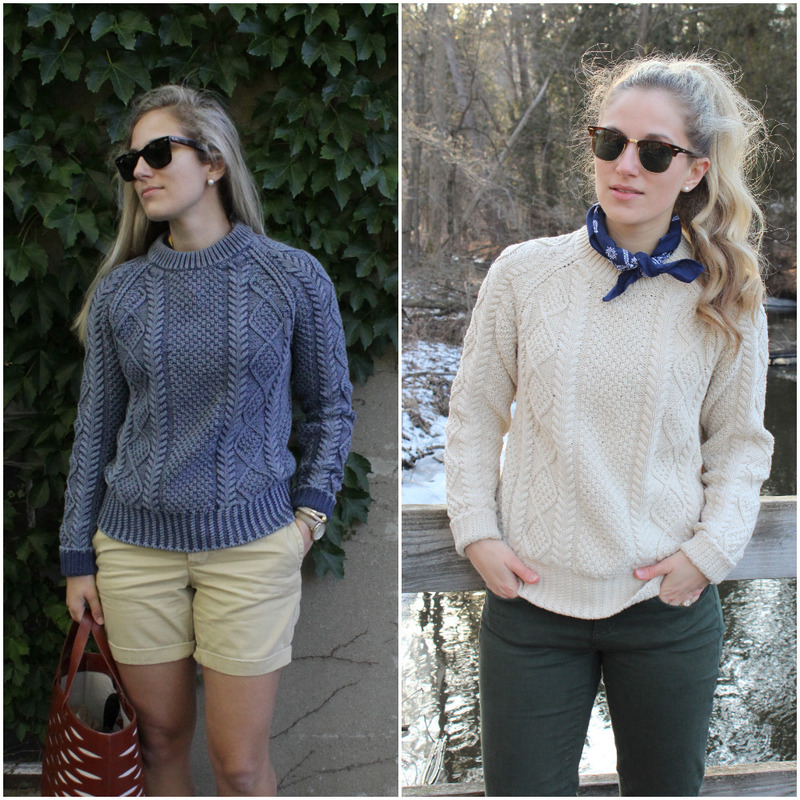 I own the iconic fisherman sweater in the original style (cream) and the washed version (blue). It’s the same exact sweater, but the fabric was dyed different. Before purchasing, I was told to size up two sizes. Since I’m normally an extra small, I opted for the medium. The washed blue version I have in a size small. It may be hard to tell in photos, but the medium is definitely more of a relaxed fit that’s best for layering. Many people like fisherman style sweaters to appear more oversized, and I feel like the medium does the trick without being too baggy. The small is the perfect sized sweater for me! I like it slightly more fitted because I often wear this sweater without layering. I enjoy having two of the sweater in two different sizes, but if I were to buy one more I’d get a small. Final consensus: Size up one size. The Wicked Good Moccasin is broken up into a few styles, the two above being the most popular. The top is technically the Wicked Good CAMP Moccasin while the bottom is the Wicked Good Moccasin. Same slipper, the difference being the shearling placement on the sides. I owned the top style for 3 straight years before I retired them, but I loved them so much I knew I needed a replacement. 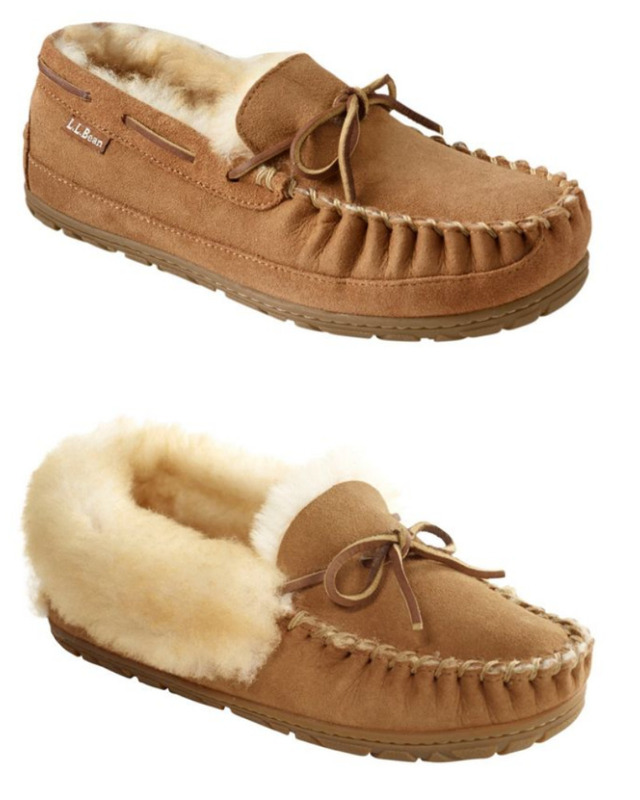 I love the look of both, but wanted to try the bottom one with more shearling. When I got them, my heel slipped out of them when I walked. I go up and down stairs a lot holding a baby so this was a problem for me. I’m a 7.5 and I’ve always gotten an 8 in these slippers so I took them to the store to see if it was the style or the size that was giving me issues. The salesperson told me “slipping out” of the back of the bottom style is common no matter the size. I exchanged them for the top pair and ended up getting a size 7 instead. You truly break these slippers in as they form to your foot so I am glad I sized down! Final Consensus: Top style worked better for me, and half sizes should size down! The Ultralight Down Jacket (left) is super warm, and I reach for it constantly from November to March. 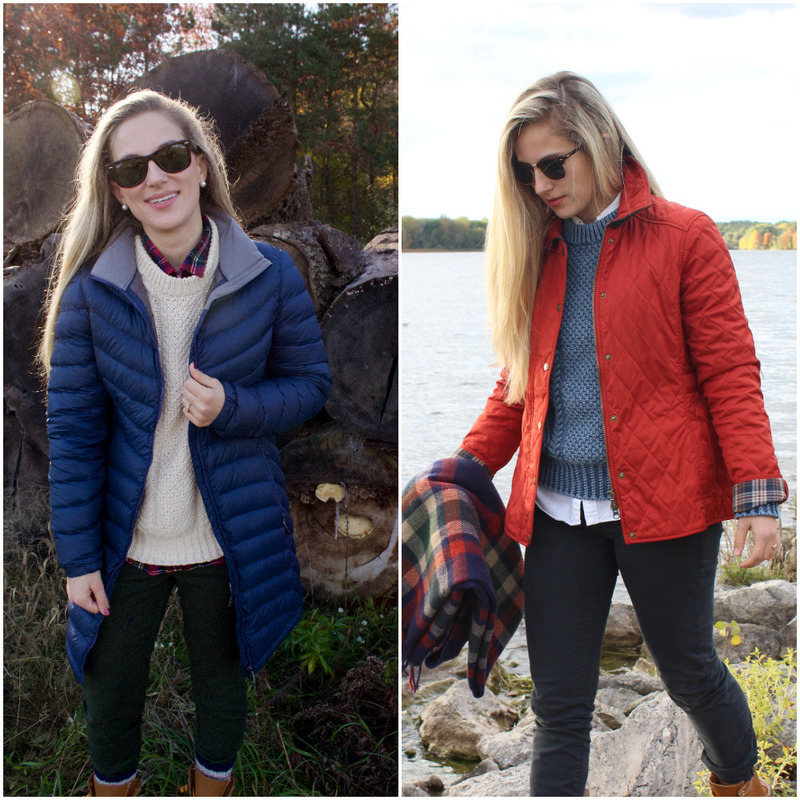 The Quilted Riding Jacket is also a favorite of mine that’s perfect for cooler temperatures. My experience with both L.L. Bean women’s outwear is that they are true to size. Most people size up, but I got my regular extra small and found plenty of room for layering and still being able to zip and button up the coat. Final Consensus: L.L. Bean outwear is true to size! I love L.L. Bean’s Sweater Fleeces! 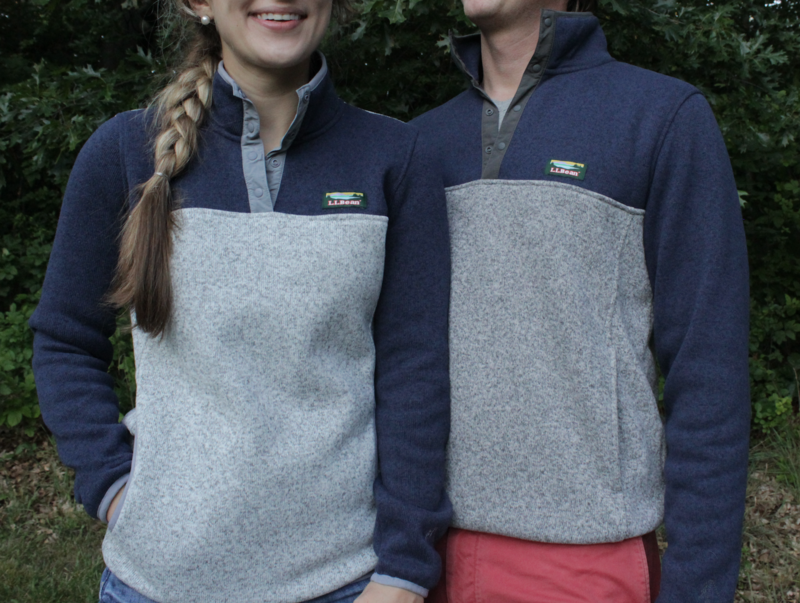 They are the perfect pullover for cool summer evenings or chilly days throughout the year. I love the weight and texture to them and find myself reaching for them a lot. I own one in the “sienna clay” color in a size small, and the one above in a size extra small. I like both sizes, but prefer them to be slightly oversized. This isn’t an item you want super fitted anyway since you’ll find yourself layering it! Final Consensus: Size up for comfort. There are two questions here – what shoe size to get and what height to get? Shoe sizing for Bean Boots is to size down, and recommends a whole size and half for half sizes like myself. I own several pairs (I’m embarrassed to say just how many), and all but one are size 7 boots when my regular size is 7.5. I’ve always found them comfortable, plenty of room for thick socks, and even the only shoe I could wear with my swollen pregnant feet at the end of my pregnancy. When the red pair went on sale, the store only had a size 6 which is what they reccomend for a size 7.5 such as myself. The size 6 felt great! I haven’t worn them with super thick socks yet, but they felt more like how my regular shoes feel and less like a boot. I’d still order just a half size down to stay on the safe side, but if you live in a mild area and aren’t wearing thick socks I’d definitely go one and a half sizes down! What height to get – the 6″ or 8″? 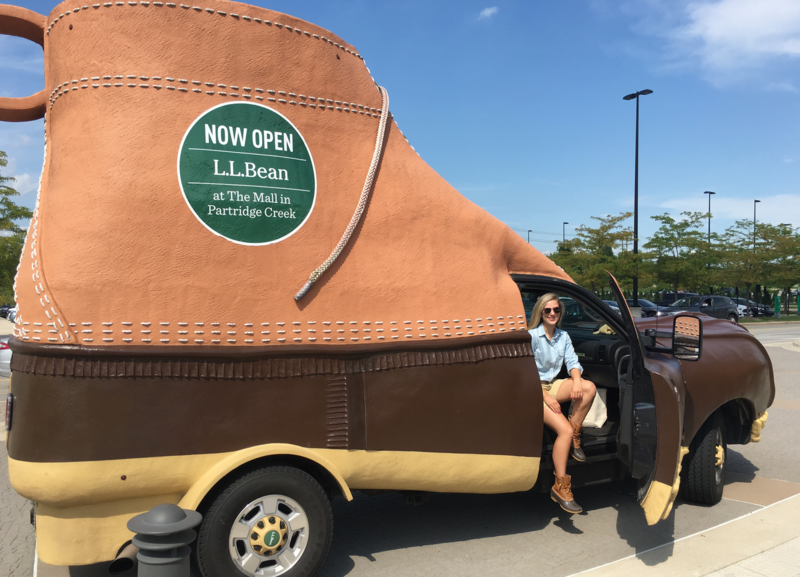 I own two pairs of the 8″ Bean Boots and have always loved that height. 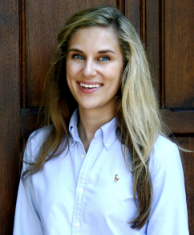 I tuck my pants into them easily, they feel more like a boot, and they’re super photogenic. 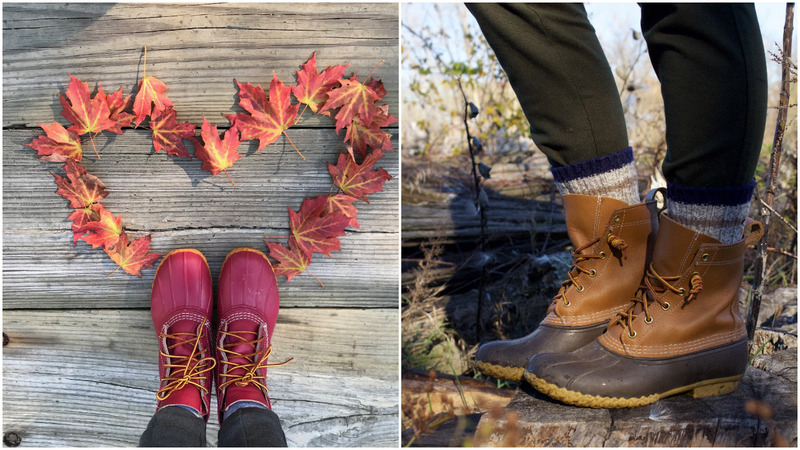 I recently got the red pair of the 6″ Bean Boots and I don’t mind the height but it doesn’t feel as natural to me. It’s like wearing high top sneakers or short booties. I don’t mind them at all and enjoy wearing them, but I would only recommend them if you plan on wearing your pants over them vs tucking them in. Some people factor their height into this as well – a shorter person may look more proportionate in a 6″, a taller person in an 8″. I don’t put much stake into this and believe it has more to do with how you wear the boot in your everyday life. Final consensus: Unless you live in a mild climate, size one half size down. I prefer 8″ in style over the 6″. To end this post on L.L. Bean, I want to share what I believe is the most underrated item they sell: The Gumshoe! I wear these things ALL the time. I will slip them on if I’m running outside real quick, or they’re perfect for running errands on a rainy day. 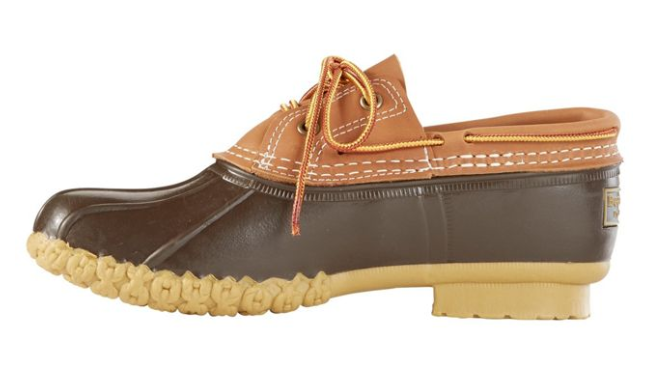 While most people love the regular Bean Boot, I don’t see too many sporting the gumshoe. They’re quite practical for everyday life! Please feel free to leave questions in the comments if you have any more! I totally agree with you on the gumshoe! I just bought the duckie style bean boot (gumshoe) and they are my new favourite! Sometimes it’s not the right weather for a boot and these shoes are perfect! yes exactly! I get a ton of use out of them year round! the gumshoe is for sure the gateway drug to L.L. Bean! lol!